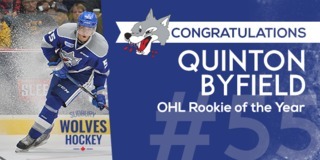 The Sudbury Wolves opened the 2017-2018 regular season Friday evening when they welcomed the Oshawa Generals to the Sudbury Arena. Despite out-shooting the Generals, the Wolves couldn’t find a way to score as the Generals took an 8-2 victory. It was a fantastic atmosphere out front of the arena prior to the game with a live drummer and the Desjardins shooting station. Before puck drop, the Sudbury Wolves took a few minutes to introduce each of their players, which hyped up the fans for the game. 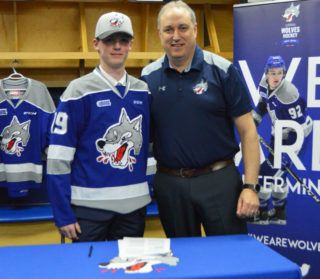 Kyle Rhodes was the lone goal scorer for the Wolves in the game, scoring one goal in the second period and one in the third. 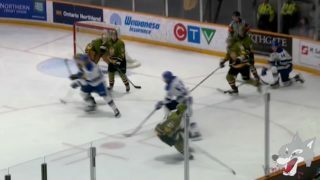 The Generals scored two goals in the first period from Renars Krastenbergs and Jack Studnicka. Studnicka also went on to score another goal in the second period. 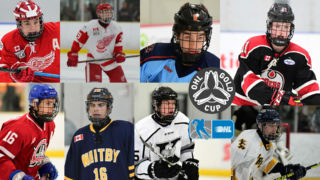 Nick Wong notched a hat trick for the Generals, while other goal scorers for the Generals included Kenny Huether and Allan McShane. David Levin was voted the Subway Hardest Working Player by they fans through the Wolves Mobile app. 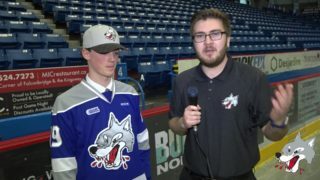 The Wolves have a day to rebound before they look toward Sunday’s match-up when they welcome the North Bay Battalion. The puck will drop at 2:00 pm. Weather permitting, the Wolves will be hosting a fan appreciation BBQ prior to the game on Sunday beginning shortly after Noon. Sunday’s game is sponsored by local Your Independent Grocers. 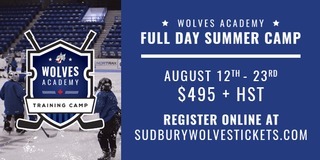 Fans can purchase their tickets now online or at the Sudbury box office on Sunday after 11:00am.